Bukit Nanas Forest Reserve, the oldest forest reserve in Malaysia established in 1900, lies in the center of Kuala Lumpur, the capital city. Over time it has been reduced from 17.5 ha to 9.37 ha but still retains important biodiversity. 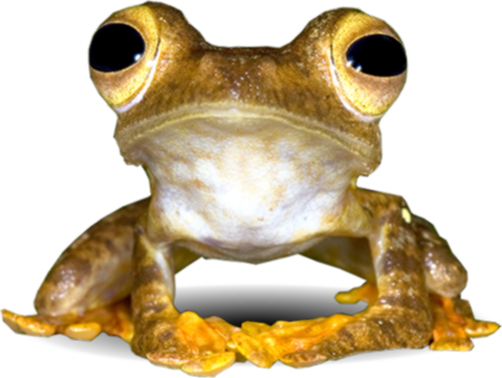 Its lowland equatorial rain forest has never been logged and tall emergent species to 35 m tall and 124 cm diameter persist. Since 1900, 499 plant species (2 lycophytes, 25 ferns, 39 monocots and 433 dicots) have been recorded. This year-long survey refound 425 species, including the rare Tarenna rudis (Rubiaceae), a local endemic found only in Selangor state. The multi-layered structure of lowland dipterocarp forest (16 Diperocarpaceae species were recorded) is intact. However, with diminishing size, the edge effect is more pronounced with secondary forest species, from trees to herbs, becoming established. In 2009, declared as the KL Forest Eco Park, it is important for its biodiversity, history, accessibility to the public for recreation (forest walks), scientific study, education (natural history, bird-watching, etc), as well as serving as a green lung in the bustling city. 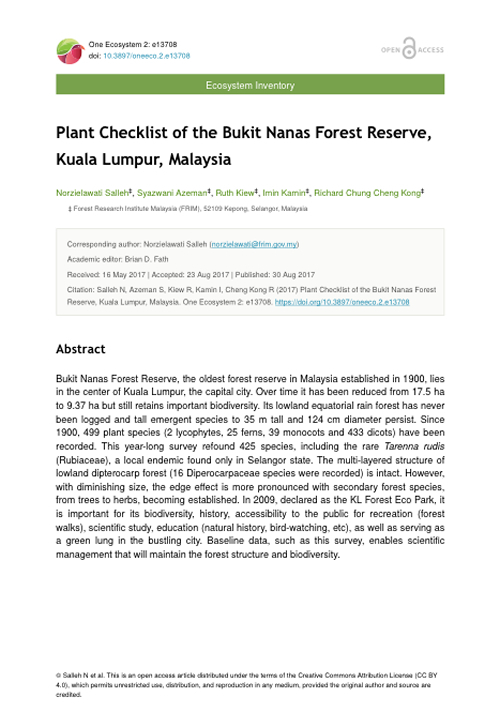 Baseline data, such as this survey, enables scientific management that will maintain the forest structure and biodiversity.